DA Form 7538 is a United States Army form also known as the "Subsistence Serviceability Certificate". The latest edition of the form was released in February 1, 2005 and is available for digital filing. Download a PDF version of the DA Form 7538 down below or find it on United States Army Forms website. 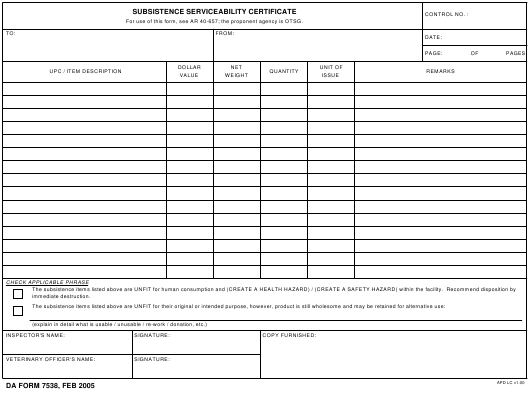 For use of this form, see AR 40-657; the proponent agency is OTSG.